Should this be ironed or steamed? August 23, 2011 August 23, 2018 JMorrowLeave a Comment on Should this be ironed or steamed? 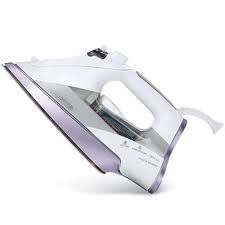 As a general rule, it is usually better to steam dresses and the majority of your clothes than to iron. Dress shirts, jackets, and trousers are typically better to iron to retain shape and crisp lines, especially if it is done at the Dry Cleaners and not by you. For deep wrinkles in Cotton, taffeta and heavyweight bridal satin should be ironed on medium heat. Lightweight satin, silk, chiffon, and fluttery fabrics can be ironed on low heat, but steaming is recommended. If you have to iron silk or delicate fabrics, then protect the fabric by placing a dish towel between the fabric and iron. When traveling, use the shower to steam your clothes. Start by running a hot shower, hang the garment on plastic or wood hanger, avoid getting your garment wet, gently position the garment in the steam, and let the steam pull the wrinkles out for you. Steam showers work great for heavier fabrics, the weight of the fabric works for you. The steam shower trick may not work as well for deep wrinkles or lightweight fabrics, but give it time and frequent gentle shakes to help pull out the wrinkles. Here are five more non-toxic chemical free options for wrinkle-free clothing. More information here on what is fabric made from.